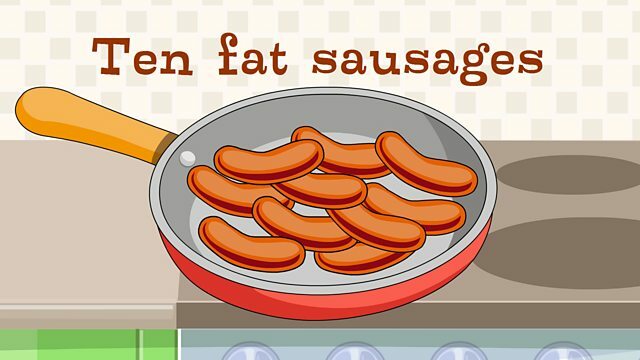 Now there's eight fat sausages sizzling in a pan. Now there's six fat sausages sizzling in a pan. Now there's four fat sausages sizzling in a pan. Now there's two fat sausages sizzling in a pan. Now there's no fat sausages sizzling in a pan. Now there's no fat sausages sizzling in a pan! 32 videos: Polly put the kettle on...to Row row row your boat...to Ten green bottles.